Generate finite-capacity production plans and schedules constrained by resource capacities, personnel availability, material availability and lead times. FrePPLe recognizes material, capacity and lead time constraints. The constraints are solved simultaneously, and constrained supply is dynamically allocated to the most important demands. A shortage on a raw material will delay the plan for all downstream operations and demands that require the material. A capacity shortage on a bottleneck resource will result in synchronized plan for upstream operations and procurement to match the pace of the bottleneck. 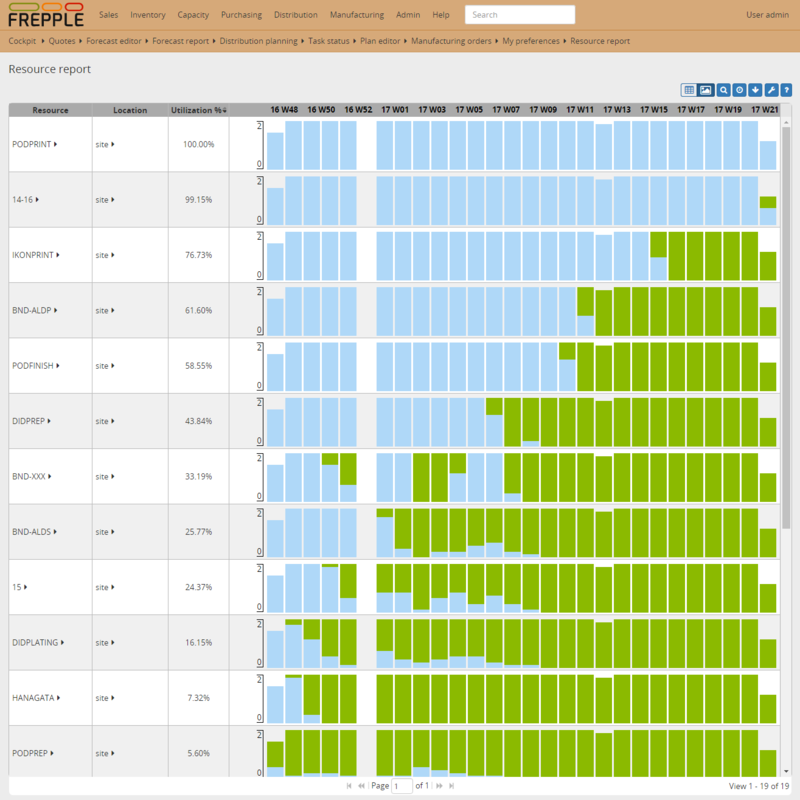 FrePPLe intuitively visualizes the plan and lets planners interact with the plan. You can choose to color the Gantt chart by order status, criticality, lateness, item or operation categories. Bottlenecks are easily visualized. 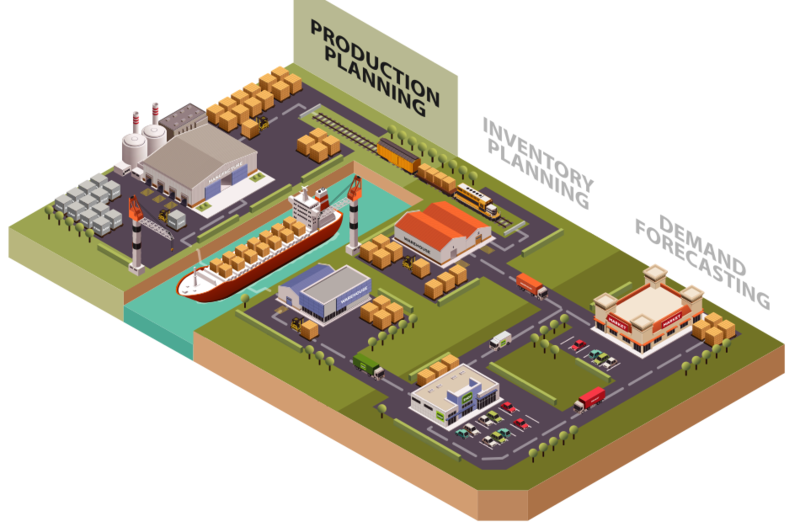 Downstream and upstream related operations are highlighted when a purchase order, distribution order or manufacturing order is selected. Your planner’s productivity is greatly improved by these intelligent decision support capabilities. For most models a simple high-level data model is sufficient. A lower level set of modeling tables allows for more granular and detailed modeling of very specific requirements. Free when planning up to 1000 item x locations. A free trial period of 30 days when planning with more than 1000 item x locations.